This article will come in handy if you are a miner or crypto currency investor and like to store coin on local wallet rather than online exchanges. Keeping coins on exchanges is always risky. Wise men say, always learn from past.So many blunders happens with cryptocurrency exchanges in past and will happen in future also. So my advice to everyone will be to keep your long term hold coins in cold wallet only. 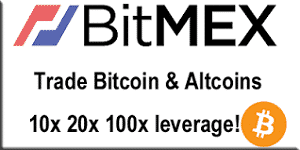 Only a fraction of amount should be on exchanges to trade regularly. Enough advice 😎 . This post is not about regarding how you should manage your crypto portfolio but if you are using wallet and your wallet is not syncing with blockchain then how you can find working nodes as fast as possible. How to Find Working Nodes for any coin wallet? Look for nodes on coin Bitcointalk ANN page. Sometime nodes are mentioned on coin official website. 2. On menu bar click on Explorer >> Connections. 3. Copy the nodes and update on coin.conf file. How to Update Nodes in Wallet? I am assuming you are on Widnows OS and default directory on which you installed the wallet is “C:\Users\yourusername\AppData\Roaming”. If you are on any other OS or wallet directory is located somewhere else then make changes accordingly. 2. 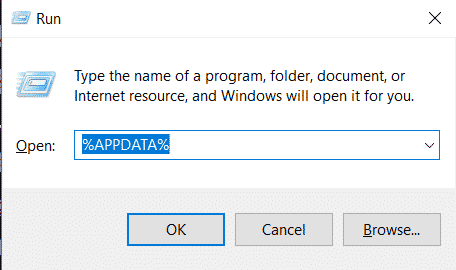 Enter ” %APPDATA% ” without quotes and click on OK.
3. Open the coin named folder. This folder contains important file wallet.dat which contains all your coins. Its always good practice to copy it and save it another location. Sometime you won’t find this .conf file then you have to create one. To create it, open notepad >> save as >> name it – coinfoldername.conf and under save as type choose all types. 5. Paste the copied nodes and save the file. 6. Restart the wallet and your wallet will start syncing. 1. Download Blockchain Separately : For old coins which have millions of blocks mined like XVG,STRAT, downloading blockchain through wallet will take too much time. So better and faster way to sync with such coins is to download blockchain separately. You will find link for blockchain download on coin Bitcointalk ANN page. 2. Electrum Wallet (no Blockchain Download Wallet) : Like Bitcoins, some altcoins a provide wallet where we don’t need to download blockchain to get connected with coin network. Such wallet are faster and bandwidth saver. Major drawback of such wallet is that you can’t stake coins in such wallets. 3. Debug Console : This can also be used to add nodes to the wallet ( Help >> Debug >> Console ). 4. Update wallet : If your wallet is not syncing even after putting the working nodes then make sure you are using latest version of wallet provided by coin developer. Hopefully your wallet should sync by following above guide. If you find this article helpful, do give it a share and feel free to ask anything via comments below. Next Post: Where to Buy Your First Cryptocurrency?